The Italians have a saying: “Natale con i tuoi, Pasqua con chi vuoi.” A rough translation goes something like this: Christmas with your parents (or family), Easter with whomever you want. As a good Italian, A has lived by this rule most of his life. Of the 37 years he’s been on this earth, he has spent 34 with his family. This last Christmas marked only the third year that he was not in Italy with the whole gang. We bought a string of lights, some tinsel, and hung up two (count ’em: TWO) ornaments. We had a lovely Christmas Eve dinner (menu: homemade lasagna [yes, including noodles] with mushrooms, roasted leg of lamb with tiny potatoes, and trifle for dessert) with my sister and her husband, and some dear friends. We went all out and bought a toy kitchen for P.
And then on Christmas day, my sister and I hopped in the car for a last minute road trip down to Southern California to help my parents pack up their home in the final chapter (hopefully) of their long move to Northern California. You tend to accumulate a lot of crap in that span of time, especially if you’re big fans of 99 cent stores (which my father is, unfortunately). But I had to share some highlights of things long forgotten that my sister and I found among the piles and piles and piles of stuff. 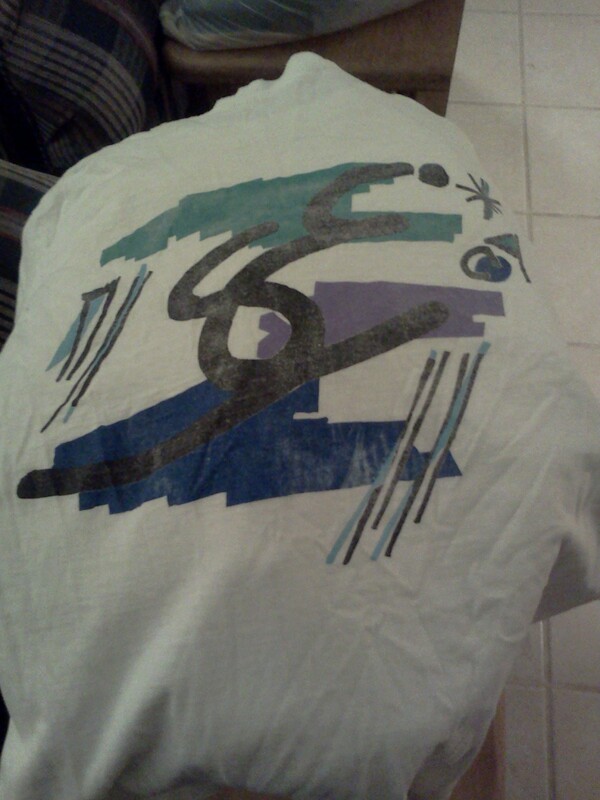 My tattered Stefan Edberg T-shirt (below). I wore that thing and wore it and wore it until it became a rag. Stefan was my hero. Stefan Edberg shirt ca. 1989. A winter ball dress my sister wore in high school. With matching blue suede shoes (totally not kidding). Anyway, she bought it from Macy’s and it still had the $88 price tag attached. Because she was totally planning on returning it after the dance, but apparently never got around to doing it. FYI, price tags have changed a lot in the last 20 years. 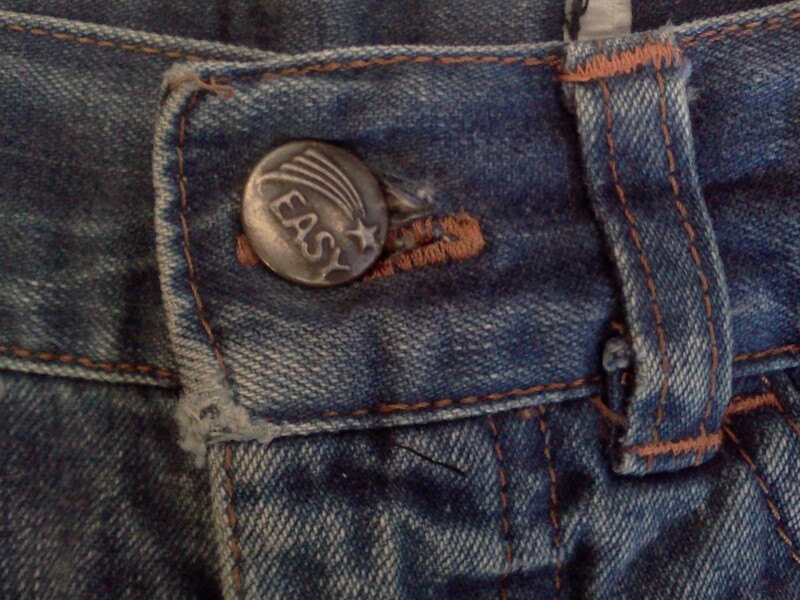 Just the slogan you want on a button on the pants of a 10 year-old girl. And the best part: the tag. 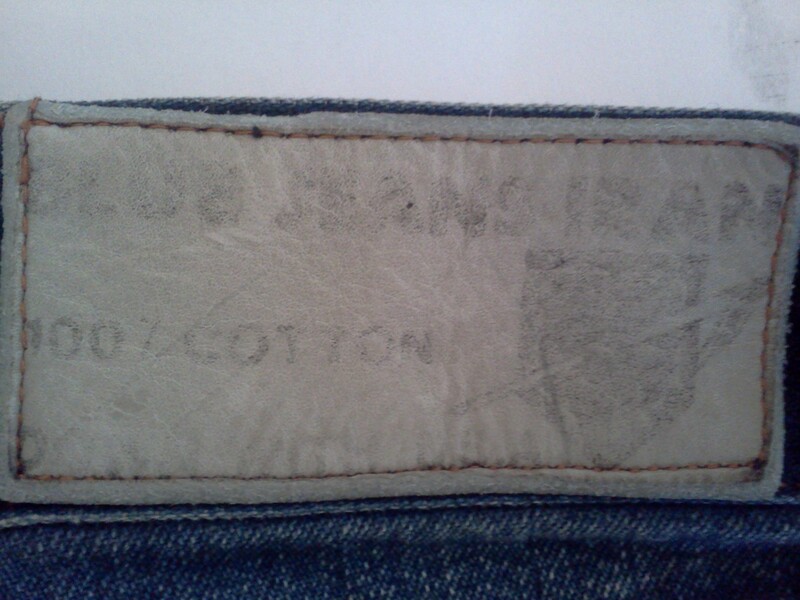 It’s super faded now, but here’s what it says: Blue Jeans Iran. 100% Cotton. Down with U.S.A.
No one saw the irony of putting that on a pair of blue jeans. It’s priceless. “Natale con i tuoi” totally happened for the good Iranian girls this year. Next year, it might be the good Italian boy’s turn. This entry was posted in childhood musings, life by thirdcultureblog. Bookmark the permalink. A-ha is norwegian, not swedish. Thanks for setting me straight! 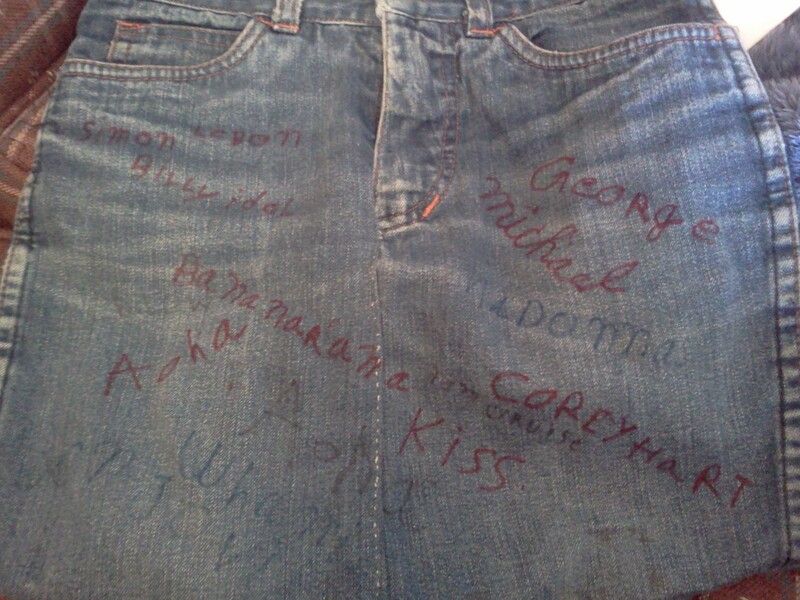 I guess I should have said “I had a thing for those Scandanavians.” Better?